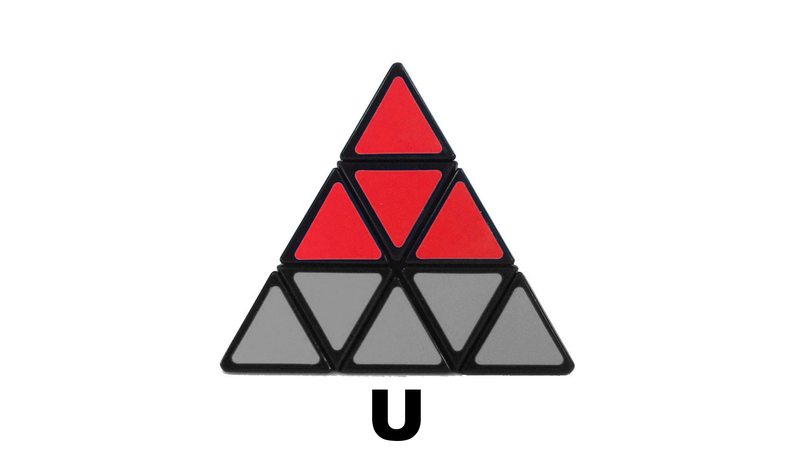 Want to learn the correct Pyraminx Notation? Look no further than KewbzUK. 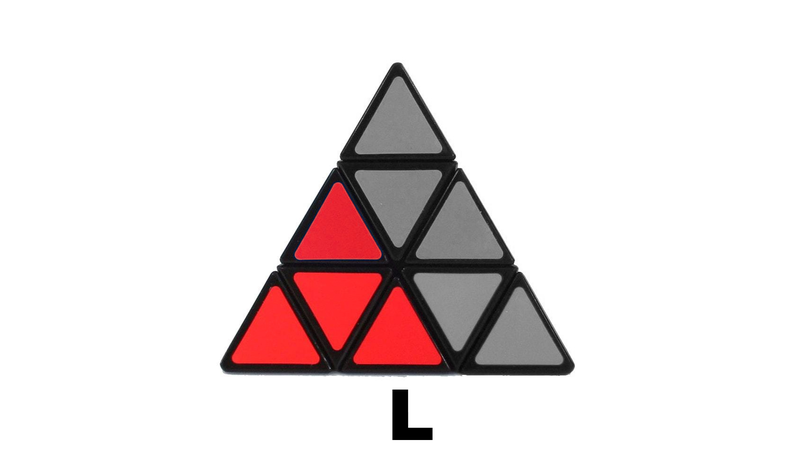 In this guide we will look at the correct notations for the Pyraminx. Check out our other articles for 5x5 Notation, 6x6 Notation and more. 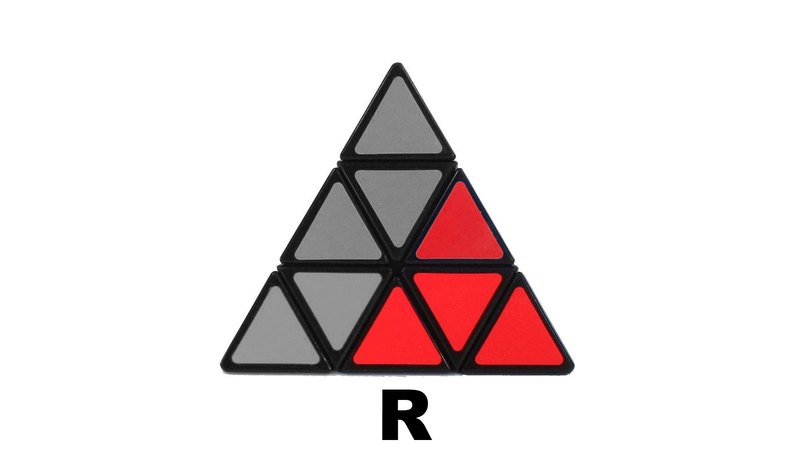 The WCA Pyraminx notation is the official notation set out by the World Cubing Association and is the correct notation for all official WCA scrambles. In the images below the part of the puzzle that is greyed out is the part of the puzzle which does not move. The pieces in colour are the pieces that will move when performing the L/R/B/U moves. The B move is not shown below as there was not way to show it in image form. 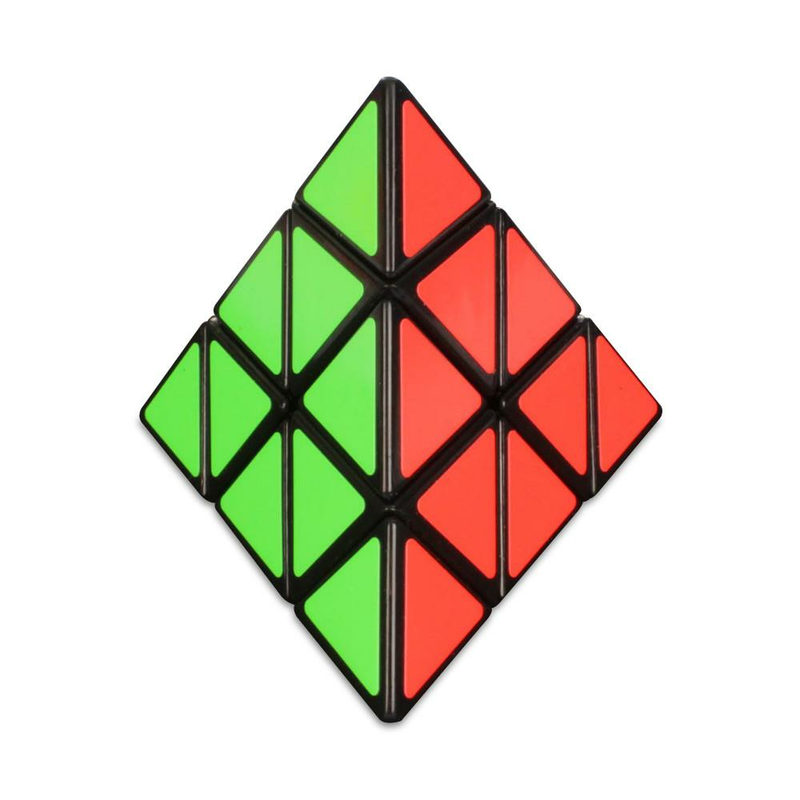 To perform a B move you must hold the Pyraminx in the same way as shown below and turn the back 2 layers.